I was mixing drinks at my friend James’ house last Sunday, and I suddenly had to improvise a drink for some ladies. I knew they did not want to drink turmeric and J. Wray, and I had already served them an aromatic drink of gin and plum wine, so the next round needed to be based on citrus. On this occasion, I had already stripped the peel from two grapefruits (a portent of drinks to come! ), and I did not want to waste their juice. Cinnamon and citrus is a match made in heaven, and lately I’ve been on a real cinnamon kick. I love the fragrance of it when its used as a garnish, and I love its spiciness and its depth. Cinnamon sticks are a must-have ingredient in your home bar; they are useful for infusions, garnishes, and syrups. In a pinch, you can use one to impale a citrus wheel, making an excellent addition to a tiki drink. It’s important to break the cinnamon apart before using it. Doing so releases its oil and its aroma. Simmer the syrup on the stove for fifteen minutes, and then allow to cool. Place the steeped spices in the vessel with the syrup, and add an ounce of vodka (or everclear) as a preservative. Shake over ice and strain into a cocktail glass. Garnish with a cinnamon stick. 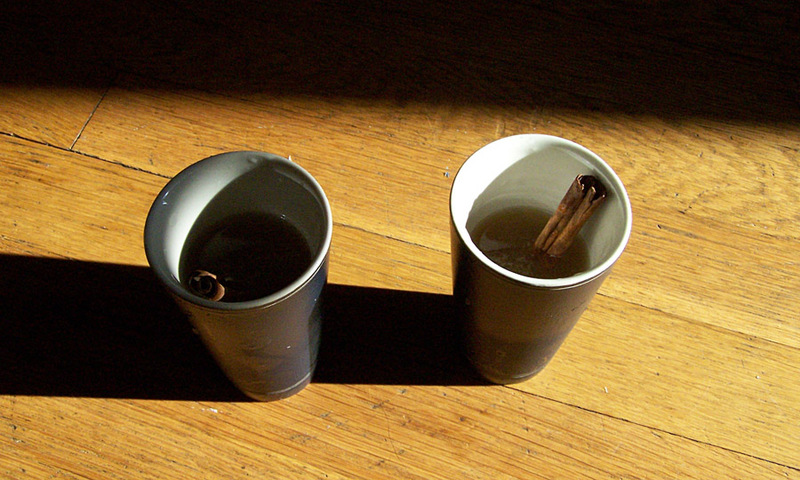 If you make Cinnamon-Vanilla syrup, you can omit the cinnamon sticks in the shaker. I was surprised how excellent this was, in fact, as I usually don’t love grapefruit juice. Don the Beachcomber knew what he was doing. Categories: modern drinks, original creations | Tags: aged rum, alcohol, bartending, cinnamon, cocktail, cocktails, don the beachcomber, don's mix, drinking, drinks, grapefruit, mixed drinks, mixology, rum, vanilla | Permalink. This is a great drink. And I like the vanilla/cinnamon syrup – it adds more than a nice touch.